Would You Like to Be a Guest on the TouchArcade Show Podcast"
One of the big requests we get from readers of the site and listeners of our podcast is to getting more guests on the show, like we used to do with decent regularity back in the golden era of Brad Nicholson hosting The TouchArcade Show. Well, it’s 2019, and among the many New Year’s resolutions I have for the site is trying my hardest to figure out how I can create more hours in the day to do stuff like that. SO, I cooked up a Google Form for developers and PR folks to fill out to get on The TouchArcade Show. (You can also visit this page where the form is embedded as well.) I hope to have everyone who submits a form and has any remotely interesting story to tell on the show, so, we’ll just have to wait and see what the response is like! As the top of the form mentions, I’m asking for a lot of information, but it’s for a good reason: I want to make sure we’ve got enough interesting stuff to talk about that we can fill a 30-60 minute podcast episode while talking about things that listeners will find interesting. We’re looking for fascinating origin stories, cool new ways you structured your development team, and/or other things that are insightful, funny, or otherwise worth listening to. 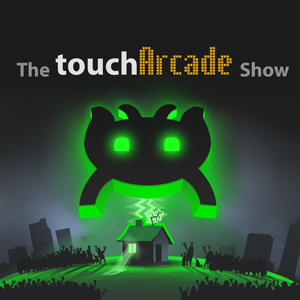 Keep in mind, and this should be obvious, TouchArcade is a mobile-focused site, so while I’m sure your Steam game is awesome, I’m not sure that’s the sort of stuff our listeners subscribe to our podcast to hear about.